There are so very many health benefits of CTFO CBD Oil, so if you have come to this post to find out just what they are, then you have definitely come to the right place! It is a very hot topic at the moment, and it seems as though everyone is talking about it. 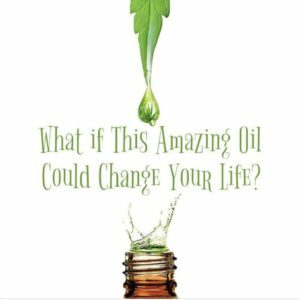 How can it be possible that just a few drops of this Oil can help with so many conditions? Well of course, I cannot prove that to you – the only person who can do that is you yourself, simply by taking them regularly. It will probably take a while to really feel the effects, although many people have reported that they feel better almost immediately. So why have we never really heard very much about it before now? 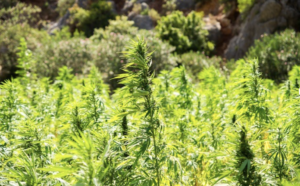 The reason for that is that it is only very recently that it has become legal to make CBD Oil, but it is now available in a number of countries, and it is possible to have it shipped to most countries. Many people confuse the Hemp and the Cannabis plants, hence the worry about the legality of using it. But although they are the same family, they are in fact very different. Hemp Oil contains none of the hallucinogenic properties (THC) of Cannabis and that is why CBD (Hemp) Oil has now been legalised. Hemp is an extremely sustainable and fast-growing plant. It takes just four months from planting to maturity. CBD Oil can help just about everyone, as I hope you will see as you read on. Why Is CBD Oil Good For You? Below is a really interesting video which you are most welcome to watch if you have the time. Did you know that Inside the human body, there’s something called the endocannabinoid system that has receptors spread throughout the brain. When these receptors are activated, they enable two-way communication between body systems.CBD is just one of over 85 cannabinoids that have been identified in the cannabis plant. Clinical reports have shown little to no side effects and a lack of psycho-active effects. It is necessary to point out that there are very many companies which market CDB Oil, and not all of the oils are made to the same standard, and therefore will not give the same benefits as those which are made to the highest standards. So you need to be very careful where you buy it from. What Is CTFO CBD Oil? CBD Oil is a completely natural supplement. CTFO CBD Oil is made from 100% Organic Hemp which is grown especially for the Company in the USA. It is made from NON-GMO, PESTICIDE FREE, CO2 Extracted Hemp Oil using only organic ingredients. All products are manufactured in the USA in a registered GMP (Good Management Practice), cruelty-free facility using only the best, highest quality, purest Organic Hemp, and no high heat processing that reduces the potency or efficacy of the CBD is used. CTFO CBD Oil is a combination of both the CBD Isolate (or Extract) along with the Full Spectrum Whole Plant Hemp Oil. This gives a much higher potency of CBD Oil while maintaining over 120 other cannabinoids, all of which have additional healing benefits. There are more than 400 phytonutrients that exist in hemp plants. CTFO’s extraction technology allows them to extract all of these nutrients, without using any heat or harmful solvents. The result is a whole food with exceptional nutritional and healing qualities – probably the very best food supplement that you could buy. CBD has been known to support healthy blood sugar levels, promote healthy energy levels, relieve anxiety, aid in digestion, support optimal immune function and the regeneration of healthy cells, and promote a sense of serenity and overall well-being. It is also an antioxidant, and contains antibiotic and pro-biotic properties. So you’re getting the highest quality, purest CBD, plus over 400 phytonutrients, in a naturally synergistic, easy-to-use and easy-to-absorb form. You can choose from three types of CBD Oil which are available in all four strengths. Full Spectrum Oil use the whole Hemp plant giving a high potency of CBD together with 120 other cannabinoids, all of which have additional healing benefits. There is less than 0.3% THC in the Full Spectrum Oil, regardless of the CBD strength. CBD Isolate Oil contains no THC but has all the other benefits, and is best for anyone who may need to have drug tests due to their occupation. These are small bottles of liquid high-potency, Pure Hemp Oil, sometimes called tinctures. CBD is created when the naturally occurring CBDA (cannabidiolic acid) is processed, especially when heated during extraction. CBDA has been found to have more anti-inflammatory properties than CBD as it is a potent inhibitor of COX2 which is the same mode of action as non-steroidal anti-inflammatory. How many drops should I take? They are taken by dropping the drops of oil under your tongue once in the morning and once again in the evening. Many people report that the best way to take the oils is to start off with a smaller dose in the first week, and increase them as shown above in the second and third week , and so on, but never exceeding the maximum dose of 20 drops am and pm. NB. The Above information is not for the 10x Drops, (CTFO CBDA 10x Pure Full spectrum Hemp-derived drops), which are obviously stronger, and therefore the dose. should be adjusted accordingly. Start by taking 2 or 3 drops in the first week, then increase the dose by 1 or 2 drops each week until you find that you have found the correct dose for you. So the secret with both kinds of drops is to start slowly, and let your body tell you what you need! All CBD Oil products are sold with a 60-Day Money Back Guarantee which is always honoured by CTFO. So Who Needs CBD Oil? In my opinion, absolutely everyone can benefit from Taking CBD Oil! Everyone I know who now takes CBD Oil regularly says that their general health and sense of well-being has improved immensely. They say that they are sleeping much better than they were and that their stress levels are far lower! Please remember that every human being is different, and therefore some people will take longer to feel the benefits of taking the oil than will others. Most people say that within 6-8 weeks of starting the drops they see their health improve beyond their wildest dreams! It really does sound like magic, doesn’t it?!? But its not magic, just a truly amazing Superfood Supplement. So as I said, CBD Oil can help absolutely everyone, and I really can’t think of anyone at all who would not benefit by taking it as a supplement! And remember, all products are backed by a 60-Day Money Back Guarantee. As a Retail Customer paying the full Retail Price. As an Associate. Associates, or Affiliates, are given two free personalised websites which they can use to introduce other people who are interested in becoming Customers or Associates. Associates can use the websites to build their own CTFO businesses. Not only do they also get a 30% Discount on all products, but they also get commission on any products bought by people they have introduced. If you would like to find out more about CTFO you are very welcome to read this article which I wrote about what is CTFO and CBD Oil. I do hope that you will decide to try CTFO CBD Oil for yourself, and if you have any questions or comments, I would love you to leave them in the Comments box below, and I will reply to you as soon as I possibly can. Very many thanks for reading this. But so far the cbd has helped a lot for my aunty she was used to having seizure and the best part is it being good for relaxation I tried it once when I was depressed and it kind of changed my mood and set it right I was great. It was so great and this is actually a very good oil I would recommend this to keep yourself fit health wise. I hope that CBD Oil will be available in all countries very soon, and I am really happy that it helped you and your Aunty. I hope that you may consider joining CTFO as an Affiliate if you are able to. Thank you for this informative post. Thank you also for not making wild claims about how CBD can cure cancer. The reasonableness of your post makes it much more attractive to me. Thank you for pointing out my biggest concern, which is passing a drug test. I know you point out one product that will not cause you to fail, but Will the others? It is the CTFO Pure Hemp CBD Isolate Oil which is the one which has no THC, but the rest of the products contain up to 0.3%. My daughter does help with this site, but more in an advisory capacity as she has a very busy life! She does intend to write a post at some time, but has not yet done so. I do hope that you do decide to affiliate with `CTFO – it is a great and really helpful company , and their CDB products are simply the very best that you can buy! Very many thanks for your comment. Many said that CBD oil can help to maintain healthy cholesterol levels. Actually, I have a cholesterol problem, so when I heard CBD oil can help to maintain healthy cholesterol levels, I started to search about it in Google and landed here. In this article also, you have mentioned it helps to maintain the cholesterol levels. However, I’m confused either I should purchase “Full Spectrum Oil” or “CBD Isolate Oil”? Can you please suggest me. You are quite correct that CBD Oil can help to maintain cholesterol levels. The difference between the CTFO CBD Full Spectrum Oil and the CTFO CBD Isolate Oil is that the Isolate has 0% THC, and the Full Spectrum contains up to 0.3%. If you ever have to have drug tests for your occupation or hobby, you would need to take the Isolate Oil, otherwise I personally would go for the Full Spectrum. I have been doing a bit of research on the benefits of Cannabis sativa lately, and I’ve come to discover that CBD offers a lot of benefits as opposed to THC which is psychotropic. The ancient Chinese have actually been using this plant for ages for the treatment of anxiety, depression and for management of acute pain. It’s just a shame that many people in their ignorance label anyone using hemp products as a stoner. This is largely due to its restricted legality in many countries. I would have loved to try out CBD oil for my insomnia problem, however, that will not be possible as its use is still under restriction by authorities. Please keep up the good work of educating the public about this lowly but beneficial plant. I do hope that you will soon be able to have CBD Oil in your country. Is it also not allowed to have it shipped to you? I do agree that there really is no need for these restrictions, as Hemp is not the same as Cannabis, and has minimal amounts of THC, and CTFO also make one oil, CTFO CBD Isolate, which contains 0% THC. Interesting article on CBD oil. I’ve been using a hemp-based hand cream because of a dermatitis problem, and it is the ONLY thing that has ever cleared it up. Where once I used to have cracked fingertips, now just regular smooth skin! But this stuff is really expensive. Maybe buying the oil direct and supplementing some regular cream would end up costing less! I saw that your link offers a lot of other products too. Will you be reviewing any of those in the future? I’m curious to hear if they work well or not. I certainly will be reviewing as many of the other products as I can in the future. I really do prefer to have used them myself before I do that, and I have not yet had the chance to use them all!! It is certainly no coincidence stumbling over your website and your article about CTFO CBD oil. I am looking for the right product online here in Canada since it got legalized last year. The funny part is though since the legalization I am even more worry to buy online because I want to make sure I really get the best CBD oil for the arthritis pain I am having. I certainly will take a closer look at the company you have mentioned in your article. I do believe for many years now that Cannabis oil is a “blessing” to us from Mother Nature we just have to do our part and take the plunge so to speak. I have absolutely no doubt that CTFO CBD Oil is the very best that you can buy anywhere. If you should wish to purchase some, you can also do so on that page if you click on “Shop”. If you are interested in doing so, then I really would recommend that you join CTFO as an Associate, which is absolutely free to do. You will the be able to purchase the products at the wholesale price, which is about 30% lowers than the retail price. And of course you will have the 60 money back guarantee. With the 10x Pure Full Spectrum Oil, you would start by taking just 2 or 3 drops twice daily, and then each week increase that dose by 1 or 2 drops until your body tells you that you have reached the correct dose for you. Please feel free to ask me anything else that you would like to know. Thank you for sharing this informative article about CBD Oil. I don’t know there so many benefits using CBD oil. I have been diagnosed with Bipolar Mood symptom and depression and difficulty in sleeping. Can you recommend which type of CBD oil to reduce stress and helps in sleeping? I think that if I were you, I would start with the 750 mg Full Spectrum drops. The dosage is 5 drops twice a day for the first week, and then each week increase the doses by 2 or 3 drops, but do not exceed 20 drops per dose. You may not need that much, but it is best to let your body tell you which is the best dose for you, by which I mean the point when you feel that your symptoms are disappearing. As everyone is different, it may take up to six weeks to feel the full effect, or maybe not so much. If you are not getting the effect you want, then maybe progress to the 10x Full Spectrum drops, either 500mg or 750, and start the dosage in the same way. I would suggest that you join CTFO and then you will be able to purchase at the wholesale price, which is about 30% lower than the retail price. Please do let me know if I can help you in any way. Hi Chrissie, thanks for explaining about CBD oil. I had heard how it was becoming popular to use but did not really know what the benefit was. Your post explains that well. Do you know if CTFO CBD oil is available outside of the US? I am based in the UK so is it possible to ship here? I am in the UK too, and it is definitely shipped here, no problem at all. I have to admit whenever I heard about “Hemp oil” I had visions of ” getting high”. Maybe it is my generation. When I grew up there were the stoners. These were guys and girls who smoked lots of marijuana.Apparently they did it for THC. Believe me, marijuana did nothing for mental sharpness. It had the opposite effect. People’s memories got bad.So this idea of hemp oil being very beneficial is a very new idea to me.It looks like the science is sound. The video is very helpful.I would imagine you have a hard time getting around the prejudice of hemp oil. I’m sure there are many people like me who view it incorrectly.I am willing to learn new things all the time. You have changed my mind, very well done.I would be interested in hearing your experiences in taking hemp oil. I assume you have taken it. Please let me know the benefits you have received. I am really happy to hear that I have managed to change your mind! I cannot yet tell you my experience with taking the oil, as I have just received my first batch today! I will very happily get back to you to tell you how I get on with it if you wish, and in fact I shall be writing a post in the future on just that subject! I really appreciate your comment, and I trust that people’s negative attitudes towards CBD Oil will change, and that anyone who wishes to use it will be able to do so. Hello Chrissie, your article about CBD Oil has seemed very informative and exciting to me. I came to him because I am allergic to different substances and as you could understand, I have a terrible time when I expose myself to dust or plant pollen, among other things.I have tried several remedies, but none has been entirely satisfactory, and a friend told me about CBD oil, and now I see that it has anti-inflammatory properties which I suppose can serve me in my allergic state.Do you have more information regarding this use that you could provide me?Thanks for your excellent post! I am sorry to hear about your allergies. CBD Oil should help with those, as it does indeed have anti-inflammatory properties. The type of oil which would best help with those allergies is the 10x Pure CTFO Full Spectrum CBD Oil, which contains CBDA. There is some great information about this if you look on this link: https://myctfo.me/chrissies/ and if you wish you may purchase the oil on that page also. I really hope you will get the chance to check that out. The very best of luck with getting rid of those allergies. This is great, Of recent I have been seeing and hearing a whole lot about Canabidiol, and most of what I have heard is how revolutionary this drug is going and it is just amazing and nothing short of that. But as any inquisitive and curious person might ask, I need to know what the side or after effects of this CBD is/are. Yes, CBD Oil can be of the most amazing benefit to health, but I’m sure you know that it is actually not a drug, but an extremely effective natural food supplement. Some people have reported mild side effects, such as headaches, when they first start to take CBD Oil, but I believe that this is due to the fact that CBD Oil also has a detox effect on the body, and so any side effects will not last. I’ve recently developed some rather persistent neck pain (muscular), and I’ve been wondering if CBD oil might be something that would help me. You are right, this is definitely a hot topic right now, and I’m glad to find your review of CTFO CBD Oil specifically because I worry a lot about those who only want to profit from the current hype without providing a safe, high-quality product. You’ve made it clear that CTFO takes the greatest care in their processing, creating a product one can feel confident using. I’m wondering if you can provide any more detail about the different strengths and who they are best suited for? I’m in my 50’s and wonder if age makes any difference in selecting a particular strength oil. I do appreciate, too, that you pointed out that some CBD oils are better for those who have to take drug tests for work as my husband is in that situation. It’s good to know there’s an option for him if he decides he wants to experience the benefits of CBD oil, too. You’ve provided some great information and “food for thought” on the matter, Chrissie, and I’m going to investigate CTFO further. Keep up the good work! I am so happy that you found my post informative, and I do hope that you will improve your health with the help of CTFO CBD Oil. I don’t think that age makes a difference as to which strength of oil that you take, the strength you need depends on the effect that you need. The new information is in the form of an infographic towards the bottom of the post. As to your husband, he would need to take the CBD Isolate oil in order to avoid any THC. Before reading your post I had many misconceptions about CBD. One of them is: CBD just makes you high and it is not good for human body. But, after reading your review I came to know that CBD is really good for health without any bad effects. I liked your review very much and the video you have linked, were very helpful to understand what CBD actually is. I think it is very necessary for everyone. Also, now I know where from I should buy CBD. I haven’t used CBD yet, so I cannot offer my experience. But, I am going to purchase it and also going to share your post with my friends and family members so that they can understand what CBD actually is. I am very happy that you liked my review and the video, and thank you so much for your promise to share it. Thanks for the nice post. I have back pain and in your benefit list I don’t see CBD oil is good for back pain. Do you think I can use CBD oil to treat my back pain? If yes, what kind of CBD oil should I use. I went to the website you suggest, there are so many different kinds. It is hard for me to make selections! Someone told me that CBD oil can cure cancer. What is your opinion on this? If this is true, it would be wonderful for cancer patients. I have several friends suffering from cancer and I will inform this to them. I wish they would find some hopeful information for their illness. CBD Oil supports joint and bone structure, and can help to relieve pain. I think that either the Full Spectrum Oil or the Isolate CBD Oil would be equally good, and I personally I would try the the 700 mg drops or the 1500 mg drops for your pain. As far as Cancer is concerned, the company does not claim that it can cure cancer, because as is the case with so many Natural Remedies, it has not been tested by the FDA. However it can support optimal immune function and the regeneration of healthy cells, and many people have reported that it really helps with Cancer in many ways. I would recommend the Full Spectrum 1500mg drops in that case. Wow I had no idea that this kind of oil existed, let alone that it had so many benefits. Like you said, it seems like a magic pill. About how much doesn the smallest dose cost, and how long on average will it last until you need to replace it? Also are there any studies to show that this can help people recover from working out or gaining muscle? Yes, CTFO CBD Oil really does have loads of health benefits. The smallest dose – 300mg – contains 50x20drop doses, and if you buy it at the rate for Preferred customers or become an Associate, it costs $49.97, which is far cheaper than the price for retail customers. Hi Chrissie, I have read your article and video about CTFO CBD Oil and I found here lots of information about CBD oil which I did not know before, Although I knew very little about this. After reading your article I realized that it’s an honest review about CTFO CBD oil. it’s true that CBD oil’s health benefit is now recognized in the world. however, as your recommendation, I am interested to buy CBD Oil from CTFO company. Thank you very much for writing this honest review. I am really happy that you enjoyed my post about CTFO CBD Oil, and that you agree about the health benefits. Hello Chrissie,.I have already stored this interesting website as one of my favorites. What is meant by the CBD oil being “Cruelty-free?”I am really interested in the 1500 mg bottle with the highest level of potency which would be a great fit with my current vegan lifestyle. Thank you for sharing this helpful information! I agree with you that CBD 1500mg oil would be perfect for your Vegan lifestyle. As for being cruelty free, CTFO also make other products, some of which do not contain CBD Oil, and two of those products (only two thank goodness!) contain Emu oil, which evidently is good for pain relief. I am not at all happy about the use of that, and I certainly will not be recommending or using those two products, as they do not fit in with my ethos on natural remedies. I think CBD Oil is one of the great medical aid available. It is a miracle in a tiny bottle. I think you have done an excellent job of explaining some of its generalized benefits, but I’m wondering if you can recommend another way to purchase it? My other question is how you would take this supplement? Do you drop it under your tongue or mix it into something? Yes, there is no doubt that CTFO CBD Oil is a really great food supplement with so many benefits. You take it by dropping it under your tongue, as you say. There is nowhere else to but CTFO CBD Oil but the way I describe, can you tell me why you ask that question please? It is known that CBD has lots of benefits and it is getting legalized in lots of countries but not in Belgium, because the minister is an Ambassador for the big pharma. Hopefully soon the bad thoughts are gone and we can buy it everywhere, and not just on the internet. I am sorry that you cannot obtain CBD Oil in Belgium. However, I am more than happy to buy it from CTFO, as I can be sure that I am getting the very best version of the oil that there is, even though I am able to buy other CBD oils in shops in the UK. First of all, I love your web design. The colors are very soothing & the flow with all of the elements in the same color scheme is lovely. The amount of information here is great as well, I love your well-written little info bits but I was a little disappointed that I couldn’t click on the pictures & make them larger so I could see everything they said. The script is too small on the oil drops info graphic to read as it is (for me, at least) & so it’d be nice to be able to click it & see what it says. I love that you explained the difference between hemp & cannabis, as well as the differences between the CBD oil with a hint of THC & none. I’ve heard great things about CBD & your site is very informative, definitely made me want to give it a try. Thank you so much for your comment. I am happy that you found my post informative. I do hope that you will give the oil a try, I’m sure that you will love using it. Thanks for this eye opener to CBD oil. I must say that it really looks promising especially the health benefits of it is really very amazing. Most people thinks cannabis is dangerous to our health but when one has done his or her own assignment by carrying out proper research, you get to find out that cannabis is not really harmful as people thinks.Anyways this is a very informative write up. I have been using this oil for some time now and it really great.Thanks once more. Yes, CTFO CBD oil is a great benefit to health, and I am really happy that you have tried it. Of course, CBD Oil is not made from the Cannabis plant, but from its close relation Hemp. CTFO CBD Oil contains either no THC at all, or just 0.3%, depending on which oil you choose. I love the CTFO Hemp Oil Product Video that you posted. It was explicit and i learned a whole lot of new things. The benefits you listed are all very important and key in having a very sound health. As far as its everyone who can use the CBD oil and its not restricted to certain age bracket, i will definitely get mine, and i am glad that you already recommended CTFO. Thanks so much for this informative review. I am so happy that you learned something from my post Dapoach, and I really hope that you will feel the benefits of using it. If you do wish to order some, I would recommend that you join CTFO, which is completely free, and then you will be able to purchase what you wish at wholesale prices, which are about 30% less than retail prices. Please do let me know if I can be of any further help. I am so happy that you got some valuable information from my post, and I really hope that you will achieve your aim to become a CTFO CBD marketer. I do hope that you will try CBD Oil, I feel sure that it would help you to feel better. You can find out all the prices by clicking on this link https://myctfo.me/chrissies/ and clicking on “Shop now” at the top of the page, then you will be able to see the prices. I would recommend that you join as an Associate, which is completely free to do, and that way you will get to buy it at wholesale prices, which is around 30% less than the retail price! You can also join on that link. I really look forward to hearing you’re testimonial! Interesting topic, with lots of info. they say you learn something everyday, and I really did today! I would probably use this CBD oil to reduce my vomiting and cravings. I’m looking to get it. I hope that it makes a positiv impact on my health status. have you used it? And what exactly has it done for you? I am so happy that you found my post informative. I have just received my first drops today, and I am really excited to try them out!! If you would like, `I will contact you to tell you how it goes, and I will also be writing a future post describing my progress. Chrissie, this is the best explanation of what CBD oil is, how it is produced and expected benefits, that I have read about. It really seem to be a a superfood supplement. I would be especially interested in its use against inflammation, and keeping those blood vessels healthy. At my age of 66, I have to pay attention to quality of life.Thanks for the information. I am now wondering if this could be made available in Jamaica ? I would suggest that if you have a friend in any of those countries, then you could join CTFO giving their address, and they could then ship the product out to you, I know that some people do do that. Nicely done ! I am quite familiar with CBD oil and it’s effects. You have done quite a thorough explanation of it’s benefits. My experience has been that regardless of whether your country has legalized it, it still ships just about anywhere in the world. Great job on your site …. looks fantastic ! What a very interesting concept of using hemp that I had never heard of before. I know it’s one of the oldest remedies for pretty much any ailment you can think of but have never heard of it being made into an oil. I’m from the UK where hemp “cannabis” is illegal so would I be able to get it shipped here to me? I am from the UK too, and CTFOHemp CBD Oil is now completely legal here, so there is no problem in getting it shipped to you. I receive it easily. The best way to buy it is to become an Associate, as I did, and then you can build a business from it by recommending it to other people too if you wish. It is completely free to join. If you have any more questions, please do ask me. Hello Chrissie! You’ve done a great job in explaining the benefits and the best place to get the CBD oils. I’m glad I come across you article. CBD oils have not really become abundant in supply over here, and as such, people possess very little knowledge of its benefits to human body. I’d love to try out the CTFO CBD oils, but I’m not sure if they can ship over to my country. I am very happy that you enjoyed my post, and that you found it informative. But they are opening up to new countries all the time. If you have a friend in one of those countries, then maybe you could join using their address and get them to send it to you – I’m afraid that that is all I can suggest at the moment. Which country are you in, by the way? If you tell me, then I will let you know as soon as it is available in your country. This is a great article with an excellent expository skill! i fell in love with the CBD OIL already. I think CBD Oil is one of the great natural medical aid available. You have done an excellent job explaining its general benefits. Is there a way I can buy it Africa? how do I use it, swallowing directly or mixed with something? Yes, CBD Oil is a great natural health aid, as you say. I am afraid that at the moment you cannot buy it directly in Africa, but new countries are being added all the time, so hopefully that situation will soon change. Perhaps you have a friend in another country whose address you could use and then they could forward it to you? 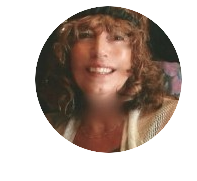 Hello Chrissie :), thanks for more information on the CBD oil. CTFO CBD Oil really is an amazing product, and everyone needs to have the chance to benefit from it. It would be great if you would share this post with your friends. It’s usually amazing to know that nature has given us so much to take care of our health but because of the way it has been misused, we forget that they also have more benefits than the downside. I didn’t know that Hemp oil had all these quality and benefits to our body especially with the bone growth property. This would be a wonderful health product for the young and the aging. More governments need to pass laws to make it legal so that more people can benefit from the goodness of hemp. 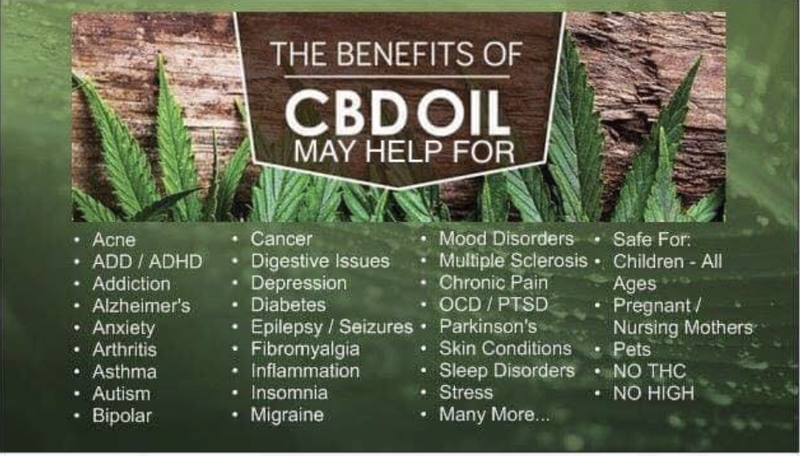 Yes, CTFO CBD Oil really does have the most amazing benefits for everyone, and is a wonderful health supplement as you say. There really is no reason for so many governments to get in the way of this great plus for everyone’s health, as the oil is completely non-addictive and does not deserve the comparison with marijuana. with the passage of time this CBD oil is becoming more popular every day, maybe it will be for all the benefits that this cbd oil provides , I am very interested to try it myself, my question is if this CBD oil has any side effects that I need to be aware? Thank you for sharing this great information about CBD oil hopefully you can answer my question and thank you again. As every person is different, some people do report mild side effects, such as headaches, when they first start taking CBD Oil, but they do not last. I you have any doubts, then I would advise you to consult a doctor. I hope that you will feel able to give CTFO CBD Oil a chance. Thanks for sharing this informative and educative article. I have heard about cbd oil but not as comprehensive as this. This article has really informed me on the things I really need to know about cbd and where to get it. I appreciate the brain behind this article and I will surely get for myself. I hope that you will be able to get some of the CTFO CBD Oil for yourself. If you wish to do so, it is better to enrol at CTFO, as then you will get the Oil at wholesale prices, and it is completely free to join. Wow I never knew about the existence of CTFO CBD oil and now you are telling me that it helps me release my anxieties and also relax my muscle. Overall, I found your article really interesting to read as it provided a lot of contents as to what this product is all about. I think your review really has given a new perspective about something that I’ve just found out about and I think I am going to give this product a try. I am so happy that you found this post interesting. I do hope that you will try CBD Oil. If you wish to do so, it is better to enrol at CTFO, as then you will get the Oil at wholesale prices, and it is completely free to join. CBD oil certainly is a hot topic at the moment, it is interesting for me to learn more about it, so i thank you for this very informative article. I don’t think it is available here in the uK but there does seem to be many positive things about it. I think there are several campaigns here to try to make it more easily available and for Dr’s to be able to prescribe it. I would be more inclined to use it as it is a natural remedy which I do prefer. I am very happy that you found my post interesting. I can promise you that CTFO CBD Oil is available in the UK – I live there too! And CTFO is a great company which I totally recommend. Please do get back to me if you have any further questions. Thank you for sharing this great informational article about CBD Oil . Here you have a thorough discussion with a variety of CBD Oil. CBD oil has been a revolutionary wonder in the healthcare industry. Many said that CBD oil can help to maintain healthy cholesterol levels. Actually, I have a cholesterol problem, when I heard CBD oil can help to maintain healthy cholesterol levels. So i will buy CBD oil. I will share this article with my friends. You are quite correct, CBD Oil can really help with cholesterol problems. I appreciate the data about cannabinoid receptors. You have to ask yourself: if we have them, perhaps we should be using them! Does CTFO offer any ingestion methods besides sublingual? And what nutritional benefits does CBD oil offer? Finally, you asserted that CTFO CBD oil is the very best. Why are you so certain that it is the very best? If you prefer you can enjoy CTFO CBD Gummies, which are tasty chewy pastilles, each of which contains 20mg of CBD Hemp Oil. CTFO is the best because 100% pure, is made from organically grown hemp and extracted using CO2 which preserves all the properties of the Oil. Many other companies do not use this method, and therefore many of the properties are destroyed in the process. 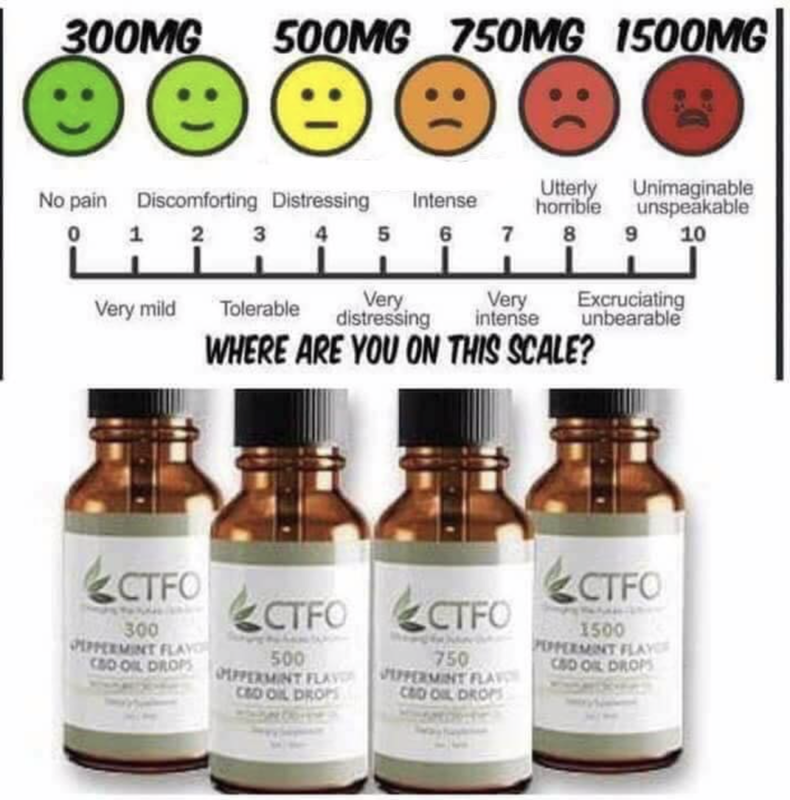 CTFO offers a 100% 60 day satisfaction money back guarantee, and they are also the only company which makes CBD 10x Pure full Spectrum Oil. If you would like to find out more, you may like to watch this short 5 minute webinar which will hive you more information. Many thanks for your searching comment. I am very happy that you found my post helpful. The recommended dosage is to start in the first week with 5 drops twice a day, and then increase the doses by 2 or 3 drops for the second week, then increase by the same amount each week, but never take more than 20 drops per dose. Although your body may well tell you when you have reached the ideal dose for you. It may take a little while to begin to feel the effects, although some people report that they can feel them immediately. But on the whole, CBD Oil is slow burning so you may have to wait a while, as I said, tor really feel the effects. Thank you so much for your comment, and do please contact me if you have any further questions. Thanks for this informative post, I have come across so many websites explaining alot about cbd oil which is been known for it’s numerous effective work but I must say your post is filled with way too many information on getting this great product. I really need this oil for treatment of anxiety and I just hope it works effectively. I am very happy that you found my post informative. I duo hope that you will manage to get hold of some CTFO CBD Oil soon. If I can help you in any way, please do let me know. This article is supeb. I’m seeing this product for the first time. You have tried to explain it’s usefulness. I’m a marketer and I’d like to introduce this product to my people. Before I proceed, I would like it if you can answer this little questions.Why is there no regular dosage for the oil? Don’t mind this question but I need to know, note that the synthetic drug we do consume has their their own regular dosage which was approved by NAFDAC in my country. These are the criteria to convince people to get it.This write-up revealed to that it was made from hemp. Can you please tell me it side effects? I’m really happy that you enjoyed my post. There is no doubt that CTFO CBD Oil is a great product to market, and CTFO is an ethical company which really cares about its Associates. As I am sure you realise, CBD Oil is not a drug, but an amazing food supplement which has helped so many people. The dosage is specific, but as every person is different, they can react differently to CBD Oil, and each person needs to find their “sweet point”, which is the point where the dosage is correct for you, by listening to their own bodies and finding out when the effects of the Oil are working for them. For the Full Spectrum and Isolate Oils, it is recommended to begin by taking 5 drops twice a day in the first week, and then increasing the dose by 2 or 3 drops weekly until you reach your “sweet point”, and never exceeding 20 drops per dose. With the Full Spectrum x10 Oil, start with 2 or 3 drops and increase weekly by 1 or 2 drops, as the x10 Oil is stronger so less is required. Some people have reported mild side effects such as headaches when they first start taking the drops. This is because CBD Oil acts as a detox, and the side effects will soon wear off. Please do contact me again if I can be of any further help. I have read the article about Benefits Of CTFO CBD Oil, And Where To Buy It.This is an informative article.after reading your article i have learn that CBD oil is a great oil for relief our various pain and cure cancer.Actually i was looking for a CBD oil for my mother and i got found a perfect CBD oil that you mentioned in this article which is CTFO CBD oil.After reading your article surely one will be able to know that CTFO CBD oil is the best among all of the CBD oil.By reading your article i have also learn that how many drops of it should be taken.Thank you very much for sharing such an informative article on CBD oil.I will share this article with my friends and relatives so that they can be able to know about the benefits of CTFO CBD oil. You will get the best price for the oil if you enrol as an Associate, which you can also do at the above link. Thank you for offering to share my post, that is very much appreciated. I too really do hope that CTFO CBD Oil will be available in all countries very soon. Many thanks for your offer to share my post. CBD oil is definitely a thing of the future and hopefully, there becomes more competition in the marketplace that will make it more widely available to the public. I’ve been following this closely and I believe it’ll put big pharma to shame once it’s in the mainstream for good. I’m looking forward to what the future holds. I believe that CBD Oil is now a thing of the present! But whereas competition is a good thing, people need to be very careful which oil they buy, as I believe that around 86% of products which claim to contain CBD Oil do not in fact contain any! That is why it is so important to buy it from a completely reputable company like CTFO, who manufacture their own oil and can provide the provenance for the organic Hemp which they use. it sure sounds like a magical recipe to all ailments. I have been learning more and more about CBD oils in the recent past. I believe it must have health benefits and can improve many health issues. I understand it heals the body from the inside, but does it go to the root of the problem or does it just go to the symptoms? That is something I do not completely understand. If you give your body the necessary nutrients, it will be able to cure many problems by itself. As you say, it is really important to give your body the right nutrients, and this is exactly what CTFO CDB Oil is doing. It can help with so many health issues as well as helping to keep you in optimal health. This article is an eye opener indeed,CBD Oil is a completely natural supplement. CBD Oil is made from 100% Organic Hemp ,I got to realized all these through the write-up,it enhances the well being of the body.human being is different, and therefore some people will take longer to feel the benefits of taking the oil than will others,the statements is quite true which makes the result differs in man. I am really happy that you found my post informative. I have a friend who runs a CBD company out of Santa Cruz, California. She used to suffer from tremendous abdominal pains and cramps (from my understanding) before she started using CBD on a regular basis. CBD has changed her life dramatically, which led her to start her own company! Personally, I’ve used CBD on several occasions and really enjoy the effects. Sometimes I like to plop a little in my coffee in the morning to heighten my focus early in the day! Wow, that’s really great Tucker, I do hope that your friend does really well! CBD oil is a a proven natural remedy for a variety of conditions. The healing powers are just out of this world. The ingredients from mother nature makes this one of the safest and most effective treatments there is on earth and with little to no side effects. Your site is built nicely and makes it easy to fond more information on CBD oil. Thanks for sharing. I completely agree with you Michael, CBD Oil had amazing health benefits, and CTFO CBD Oil really is the best CBD Oil that you can buy. I have a cousin who would have siezures and uses CBD to control them. I thought about using it myself but never did. I haven’t thought about it for years until I started looking into it again when a friend of mine recommended it, and I did a search and came upon your site. I have favorited your site so I know where to go to order it. Thanks for the Information and where to get it. CTFO CBD Oil can help so many conditions, and I am really happy that it helped your cousin. I do hope that you will get the chance to try it. Hi, Chrissie! Thanks for a great article. I’m a marketer myself and I have written a few articles about CBD too. Still, a lot of people are in the dark about CBD oils. Some of them think it is marihuana some did not even know what CBD is and some of them think it’s illegal. Well, that’s why they need people like us to give them useful information and point them in the right direction. Great job and good luck! Thank you so much for your comment David, and the best of luck to you in spreading the message too. I have honestly never heard about CDB oil. I love this. I recently made a decision to go more towards natural remedies than all the artificial remedies with numerous side effects. I really love this, especially its ability to help in relaxation, I need this hopefully it will help me get better sleep If I am more relaxed at night. Thanks for also recommending the most trust worthy company selling this product , as this is very important knowledge especially for a new product. I do hope that you will give CFO CBD Oil a try, it is truly a great natural remedy! Please do let Media know if you need any further help or information. 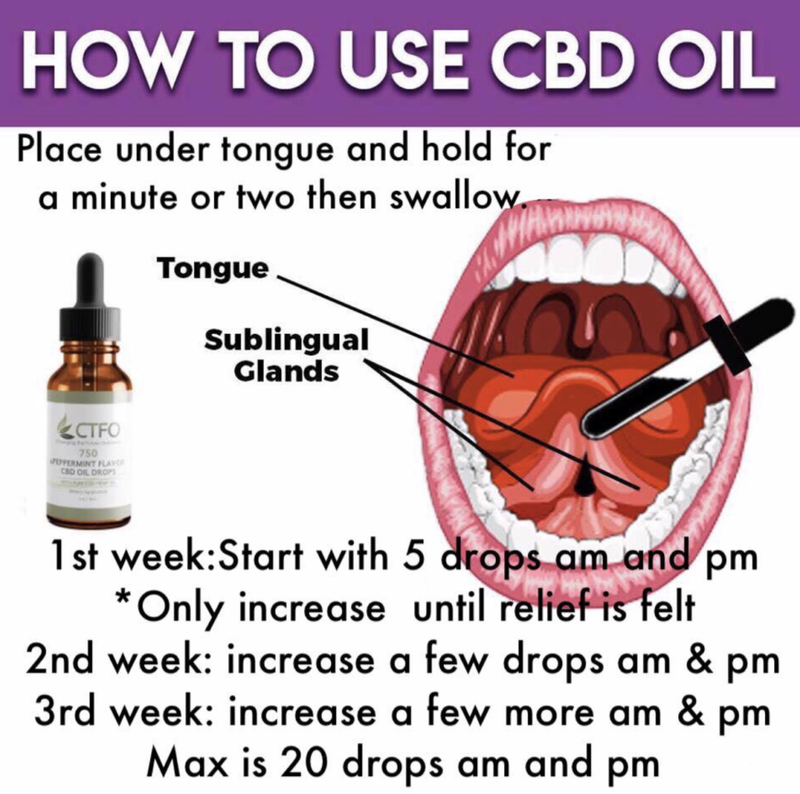 CTFO CBD Oil is normally taken by putting the drops under the tongue twice daily, starting off with 5 drops and increasing the drops by 2 or 3 drops weekly, but never taking more that 20 drops per dose. It is suitable for children, but obviously in smaller amounts, and it is also quite safe for pregnant and nursing women. You can find out more by clicking on this link: https://myctfo.me/chrissies, where you can also see alll the products available by clicking on “Shop Now” without any obligation to buy!! First of all, thank you for clearing up the difference between hemp and cannabis. Clearly, there is much misinformation about, with some people believing that legalizing marijuana is the thin edge of the wedge into harmful drug use, others heralding it as recognition of the fact that recreational marijuana use is widespread and less harmful than tobacco and alcohol, while others see it for what it is. Another tool for effective pain relief and the easing of many ailments, particularly in children. I learnt a lot about CBD (hemp) oil from your article. The benefits sound great, especially support of the immune system. Many people take drugs that actually harm the immune system. I’ve never been able to see that as a good idea! The CTFO oil sounds as if it’s coming from a reputable company and I will check it out further. I am very happy that you learnt something more about CDB Oil from my article. If I can help you further in any way, please do let me know. Hello Chrissie,This is my third time reading about CBD oil and each time it became more interesting and increases my desire to try it. I got some minor health issues and the benefits of CBD oil cover all the problems. In fact, taking care of our health by natural remedies are best for us. Very much helpful and beneficial article. I am happy that you appreciated my article. I do hope that you will get the chance to try out CTFO CBD Oil. Great review! I like how you’ve broken it down into easily digestible sections. I have heard of CBD oil before as my late sister-in-law took it to ease her pain when she had cancer, which did seem to help. I am so happy that CDB Oil helped your sister-in -law. CTFO also make CBD Gummies which can be chewed. I have also seen that someone put some CBD oil directly on to their eczema, and said that it completely disappeared in a couple of days. 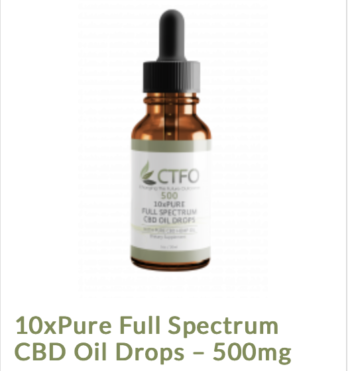 The was using the CTFO 500mg 10x Pure Full Spectrum CBD Oil Drops. CTFO also make a CBD Roll On Pain Rub. 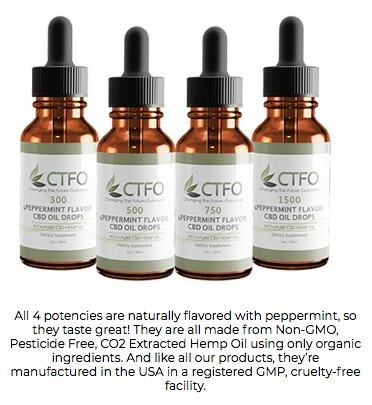 There are so many CTFO products, and if you would like to see them all you can do so by going to this page https://myctfo.me/chrissies and clicking on “Shop Now” – you can do that without actually buying anything if you wish. Please do ask me if I cab help you any further. Next Next post: 10x Pure CBD Oil – The Star Of CTFO!